A second for-profit institution has been granted the title of university. 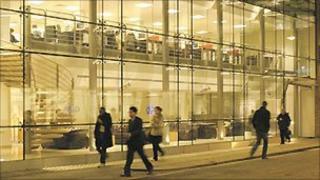 BPP University College of Professional Studies, based in London with branches nationwide, now becomes BPP University. To be granted the title of university, the institution had to fulfil criteria, such as offering its own degrees and meeting set student numbers. The move has been condemned by the University and College Union (UCU) which fears more for-profit companies could become universities. BPP University is the second for-profit college to achieve the requirements for full university status as set out by the Department for Business, Innovation and Skills. The College of Law, which became the University of Law, was granted the title at the end of last year. BPP University, which offers undergraduate and postgraduate courses in business, law, finance and tax accountancy, currently charges tuition fees of around £5,000 per year for a three-year degree. This compares to annual fees of up to £9,000 a year at other UK universities, after the government allowed institutions to treble tuition fees from last September. BPP was originally awarded the title of university college by Universities and Science Minister David Willetts in 2010. It was the first time a private institution had been awarded such a title for 30 years. BPP chief executive Professor Carl Lygo said: "I am delighted that BPP University becomes the UK's first independent private university dedicated to business and the professions. "We give students what they want and need: practice-facing programmes which will equip them for the world of work. Our quality is second to none and we are no more expensive than the vast majority of public sector providers." Mr Willetts said: "This is an important step towards increasing the diversity of the higher education sector. "A wide range of higher education providers helps broaden access, focuses attention on teaching quality and promotes innovative learning methods." But UCU president Simon Renton condemned the move. "We have serious concerns that this move could open the floodgates for more for-profit companies to become universities. "A quick glance across the pond warns us of the risks associated with that sort of move." He said the UCU would ask the government to "think hard about awarding for-profit companies university titles and consider the UK's proud reputation for university excellence".